Both Fannie Mae and Freddie Mac let certain homeowners add non-occupant borrowers to mortgages. If you want to add a non-occupant borrower when refinancing, whether you can do this and, if you can, what is required depend on who's lending you the money. The four biggest refinancing lenders in the U.S. are banks, the Federal Housing Administration, and two government-associated lenders: Fannie Mae and Freddie Mac. These two large lending institutions aren't official government agencies, but they work in close association with the FHA and Congress, which partially controls their policies. 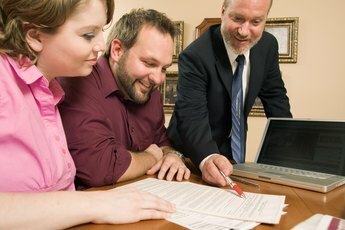 Each of these four entities has its own unique rules regarding non-occupant borrowers. Say you have a house, and a family member has been helping you with the mortgage payments. Now she wants some protection for her investment and asks you to add her to a conventional mortgage loan -- one that has not been guaranteed by the Federal Housing Administration or the two government-associated agencies, Fannie Mae and Freddie Mac. Unfortunately, lenders won't let you add a new name to an existing mortgage, even when there's a good reason for it. Instead, you have to refinance. Essentially, you're going through the mortgage application process all over again, except now both of you are submitting credit and employment information. If your relative has bad credit, this may keep you from getting a new loan, even though your credit is good, and you've been making payments on time. Many conventional loan lenders do not allow non-occupant borrowers at all. Others allow only immediate family members. Others, still, follow Fannie Mae, Freddie Mac or FHA guidelines. If you have an FHA-guaranteed mortgage, and you want to add a non-occupant borrower, you still have to refinance -- no lending institution in the U.S. allows you to add a borrower without refinancing -- but the process is less complicated. When you apply for certain FHA refinance loans, whether or not you're adding a borrower, you don't have to re-qualify. 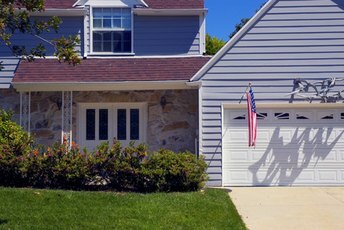 The FHA doesn't verify income or run a credit check. The person whose name you're adding doesn't have to qualify either. The particular FHA refinance loan that allows this is called a streamline loan. It doesn't have many restrictions beyond a normal FHA refinancing, except that you can't take cash out. That you can't do this with a streamline loan may be a blessing in disguise -- during the real estate boom that ended in 2007, a lot of borrowers got into trouble refinancing and taking out cash, which reduced their equity. In the real estate crash that followed, many of these borrowers lost their homes. Fannie Mae offers two refinancing programs that allow non-occupant borrowers: "Refi Plus" and "DU Refi Plus." The agency assesses the loan risk on the basis of the occupants' financial record, without taking into account the income, debt or credit record of the non-occupant. Freddie Mac also allows non-occupant borrowers, but their qualification standards are very different from Fannie Mae's. 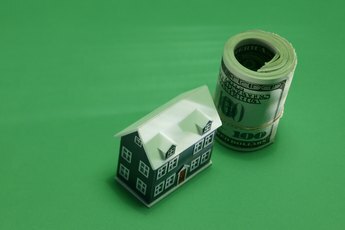 In February 2013, Freddie Mac issued modified rules allowing occupant borrowers to have as little as $1 per year annual income, as long as the non-occupant borrower qualifies for the loan.